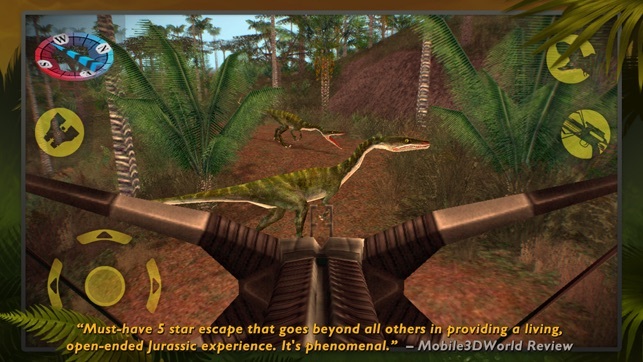 The only game which lets you see amazing meat-eating dinosaurs in action and challenge them for ultimate survival! 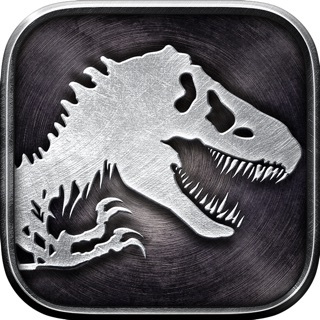 There are 22 dinosaur now and more are coming! Fixed broken Spanish localization, some small texts improvements. 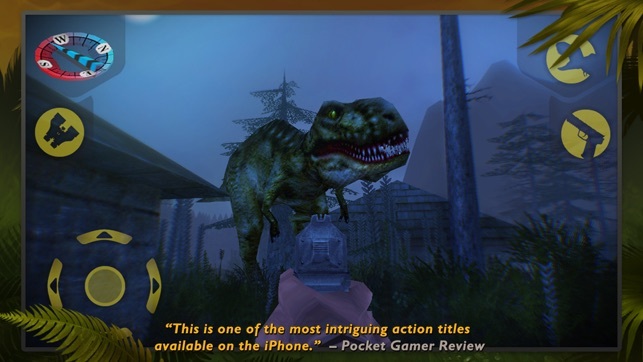 I’ve been playing Dinosaur Hunter for practically half of my life now— And I enjoy the idea of it quite well. 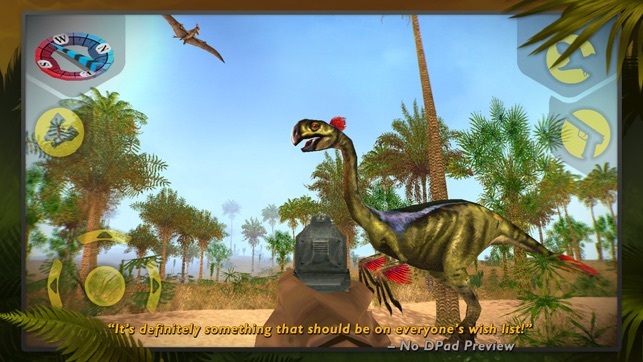 However, I agree that this game should meet more standards; And be updated more often since it is the only mobile app from the Carnivores: Dinosaur Hunter series. 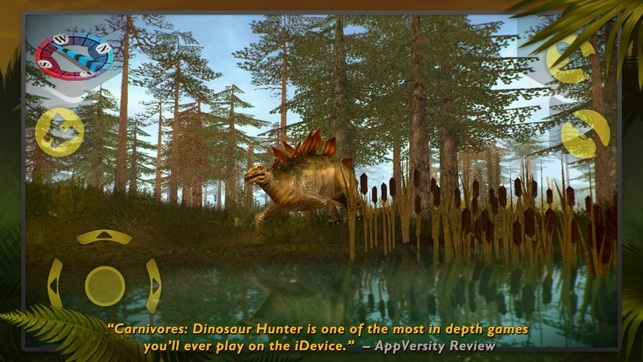 Being true that Carnivores: Dinosaur Hunter Reborn has been a bigger work in progress, including the fact that its graphics are very well improved apart from this mobile version, and Reborn acquires more hunting perks; I feel like it’s although fair to switch your eyes to this app often, updating it regularly every 2-3 months. Okay— First things first— The recent reskinning on some of the dinosaurs, I have to point out that it made me upset. 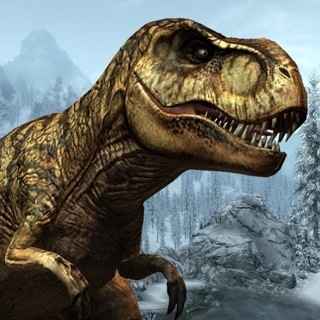 The other skins that came with the certain dinosaurs when they were released in the game were more original; But now it feels like the reskins gave them the common colors that varied through every dinosaur in the game. It’s not only that, but there SHOULD be more dinosaurs, more diverse wether they’re soaring in the sky or lurking in the ocean’s depths. Also, the graphics are fairly good— But can be improved with smoothing and extra key details. I’m not saying that you have to turn this completely into Reborn, but give this mobile game more thought. With more work, I believe this game is only a couple steps away from #1. Love Carnivores except for 1 thing. I’m pretty sure a T-Rex wasn’t actually invulnerable to fatal wounds but for a piercing shot through an eye. That’s a bit of a stretch and pretty silly limitation. Considering the sniper rifles very limited zoom, poor optics and no ability to calm the shooter down to reduce sway it’s even sillier. If the purpose is to make it an ultimate challenge and prize at least make it a little less ridiculous like say how about a head shot or heart shot as well. I know it’s not impossible to kill a T-Rex now! I’ve done it 3 times, but at considerable effort and several deaths. That all said, and considering the various mobile devices Carnivores is developed to run on I have no other serious gripes. The new grass is really nice, and the reskins have added much needed improvements to keep up with more modern iPads. There is room to improve still such as how the dino’s can suddenly change direction in an instant where they should at least have to slow a little bit first before changing direction so dramatically, especially the larger ones. Keep the updates coming with more realism improvements please. Thanks for gaming with us and for your feedback! I still have the disk copy of Carnivores: Dinosaur Hunter & remember playing Carnivores II at a friends house. They were the hunting games I grew up with. 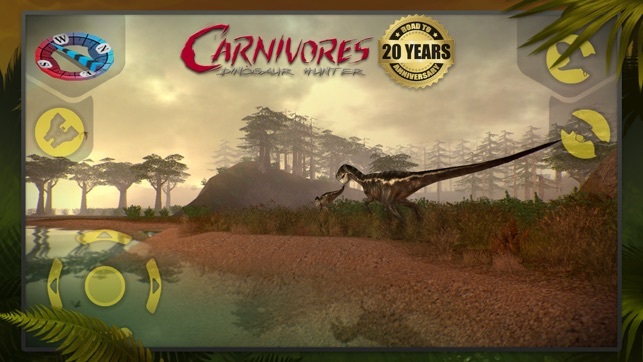 I have no beef with the game itself, accept that you can’t place down tents like you could in Carnivores II & most of the Dino models are A LOT SMALLER than they were in the original games. And the Laser Gun. OH BOY that was a fun fun to use! The thing I find misleading about this game is the description. 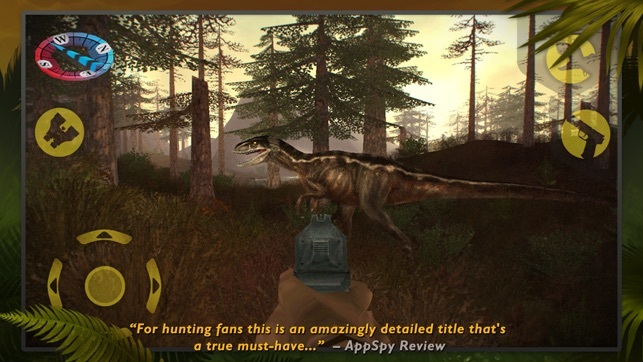 It clearly states that there are currently 22 dinosaurs available to hunt yet on the hunting list there is only 18... this game description has said the same thing over the past 2 years and the last time they made a Dino update was early LAST YEAR! Don’t say there are this many Dino’s when you don’t have the actual amount you say you have in the game & find that your statement isn’t true... 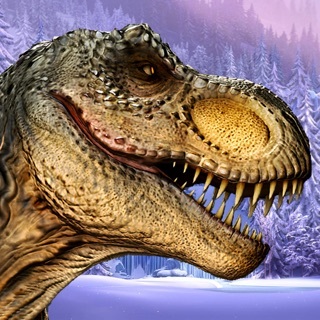 I bought PRO versions for Dinosaur Hunter & Ice Age & though the Animals in Ice Age are lit ASF, the Dinosaur Hunter app does not have 22 Dino’s to hunt but only 18. © 2016 Tatem Games, Action Forms Ltd.